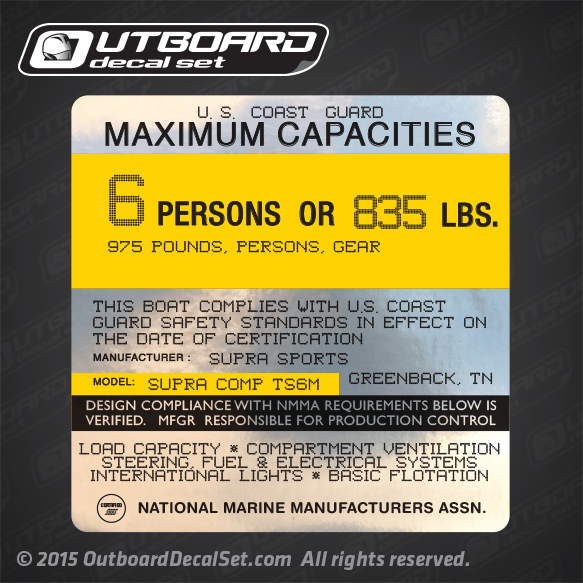 1986 Supra Sport Boat Capacity flat-vinyl decal for Supra Comp TS6M models. Printed with Silver-Metallic Inks. 6 PERSONS OR 835 LBS.